Lil Halima´s enthusiasm for music has been a part of her since birth. When her father departed from Kenya to Bardu in the north of Norway in 1995, his bag was filled with everything from Kenyan music to American hip hop. These became the foundation for an adolescence filled with a wide range of musical role models for Lillian Halima Anderssen. 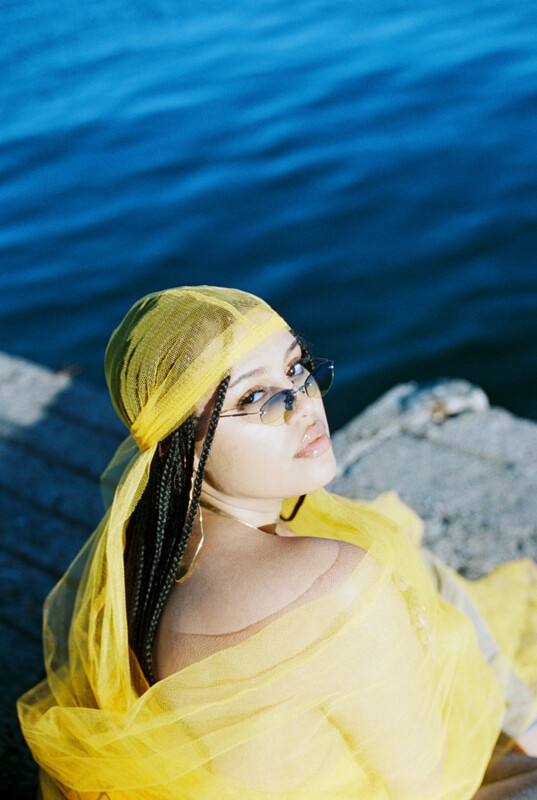 With inspiration from artists such as Stevie Wonder, 2Pac, and Aaliyah – introduced to her by her father – as well as her own personal favorites such as SZA, Noname, Erykah Badu and FKA Twigs, it’s no wonder Lil Halima developed the musical versatility she now so clearly demonstrates at just 20 years old. Lil Halima’s talents range from singing, songwriting, piano, and violin, all the way to production and visual arts. She initially found likeminded individuals on Instagram and Soundcloud and used these social media platforms to bond with other musicians & artists from across the globe. Before she was officially signed to Def Jam Norway, with label partners at Island UK and Dew Process Australia, Universal Music first discovered her instagram in the winter of 2017. The small videos of herself playing and singing her own songs and occasional covers proved her undeniable talent. The soul behind Lil Halima’s music continues to captivate her audiences, described by i-D as “the latest Scandipop talent to open up a can of earworms”. Her signature combination of clever lyrics and a voice like honey has already been demonstrated through her debut-EP ”love songs for bad lovers” from October 2018, which included her self-painted artwork for selected singles. MTV celebrates how Lil Halima has “developed such a unique aesthetic for someone so young”, which is apparent through her involvement in every part of her art, sonically and visually.